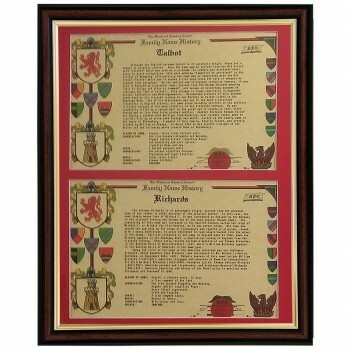 2 Surname Histories nicely presented with mount in a brown frame 18 x 14”. Ideal as a present for a family or 2 people. The history of your Family Names for both sides of your Family is part of your heritage that will be treasured for years to come. 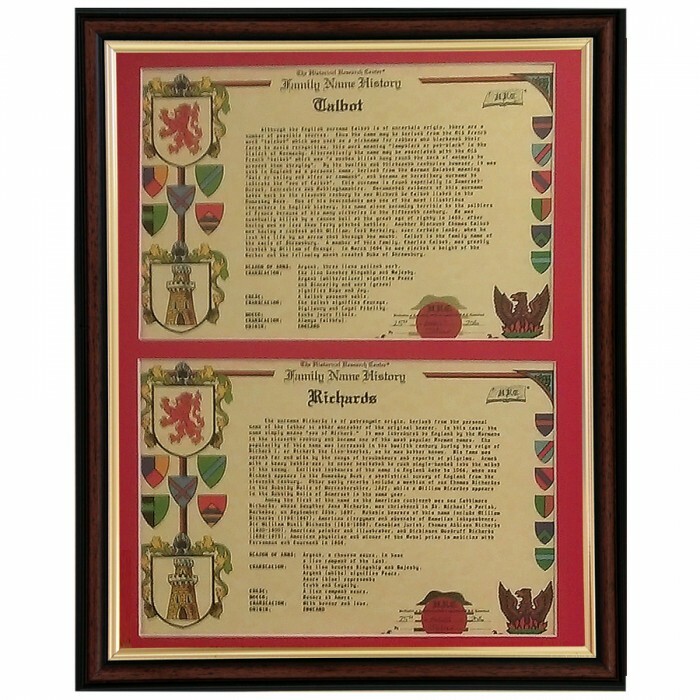 The meanings of both names, countries of origin and historical records are included. To be enjoyed by your family for generations to come. The feelings they will experience will be a priceless experience. Framed to display in the home or office. Preserve this heirloom in your family for the future.